The client wanted an updated modern and luxurious look to their current house. 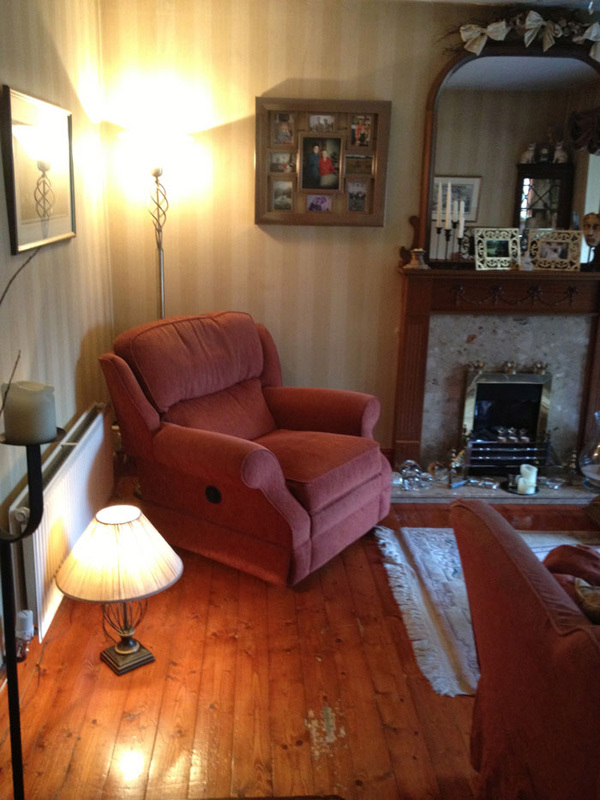 Tareen and Tareen got rid of the old and outdated furniture and accessories. 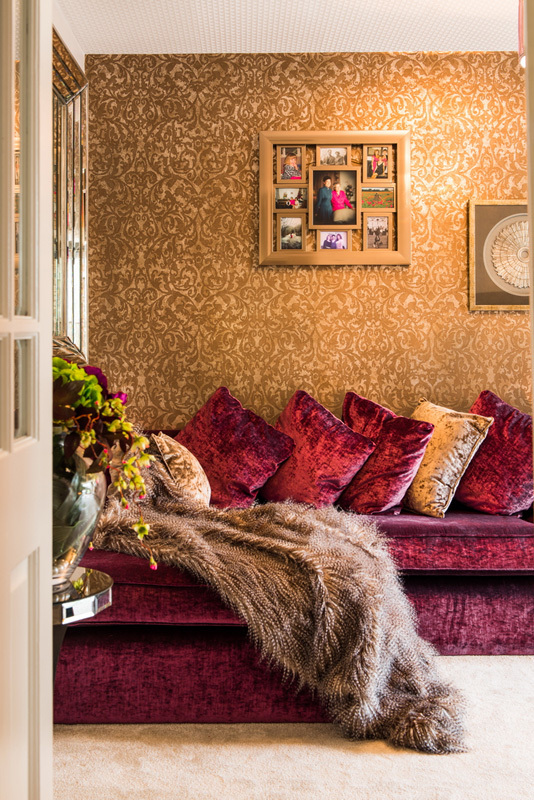 We introduced a modern and luxurious look with a beautiful bespoke sofa for the lounge. Furniture layout was changed to increase seating space. 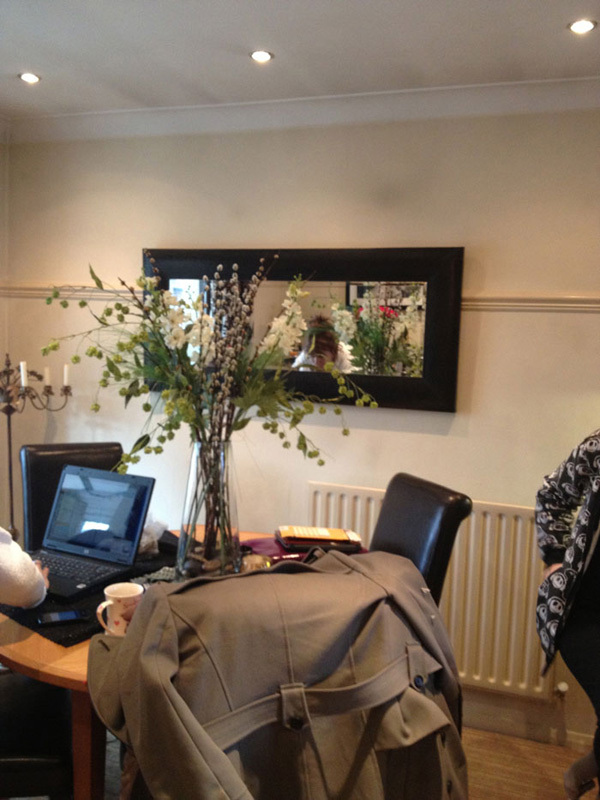 With the addition of mirrors, TV unit and lighting we were able to open up space. 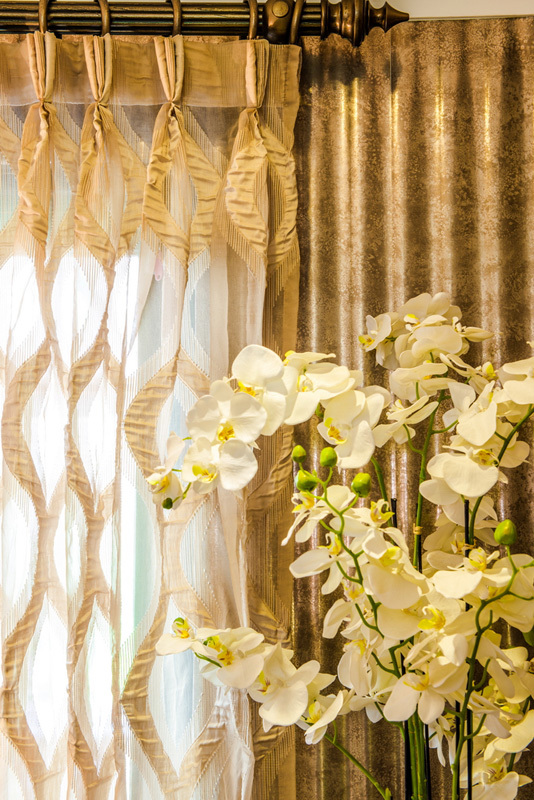 Again to help make the room feel larger we introduced stunning reflective wallpapers, which completed the look. 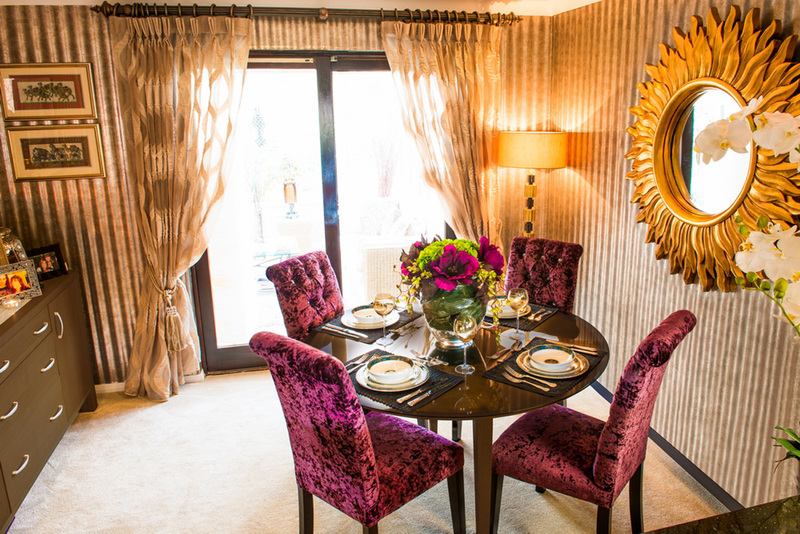 The dining area was spruced with beautiful curtains, wallpaper and gorgeous accessories. 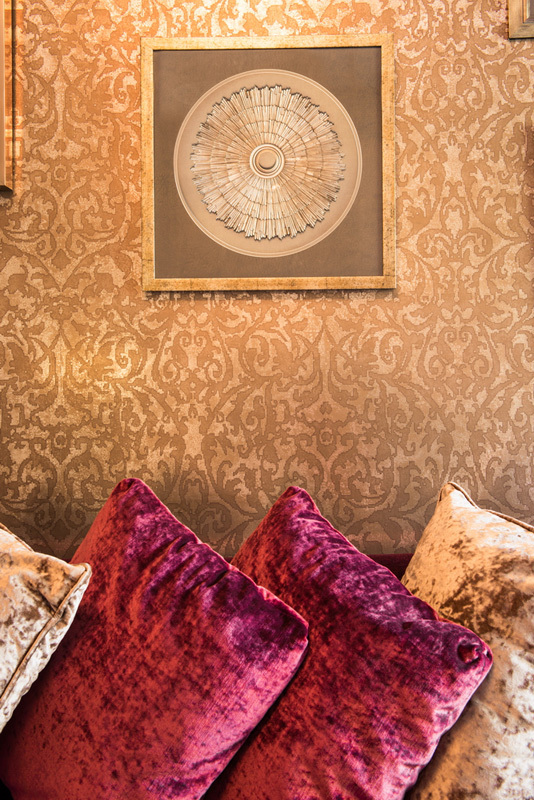 Clients chairs were re-upholstered in luxurious velvet fabrics and deep buttoned with Swarovski crystals. The transformation speaks for itself.